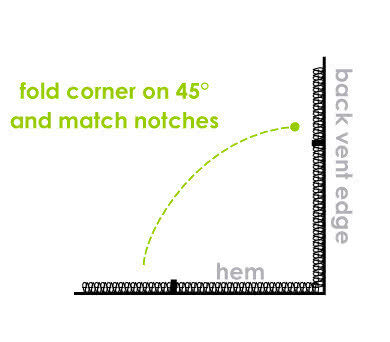 Then using tailor’s chalk draw a line front the notches to the folded edge. 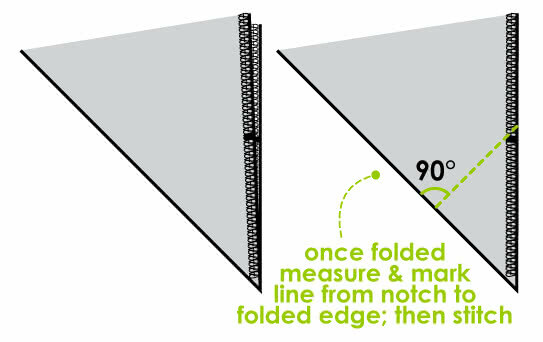 Make sure the line is on 90 degrees from the folded edge. Then stitch along the line. 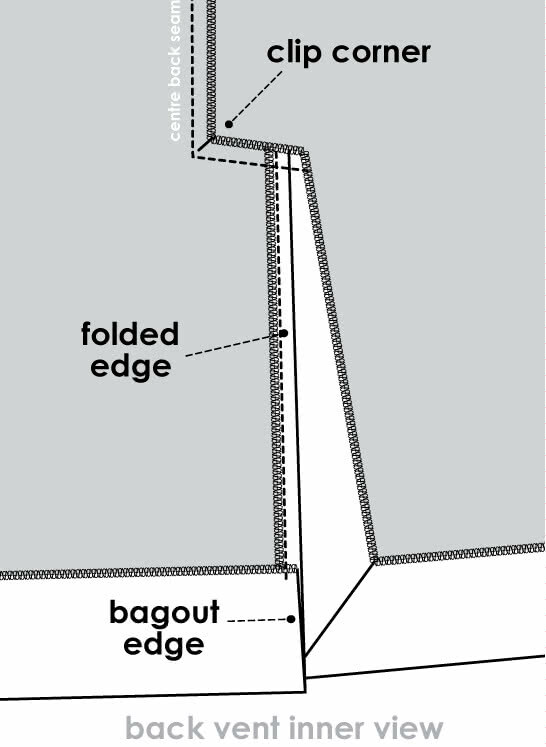 Fold & stitch oposite edge of the vent. Lay two back pieces together & pin along the centre back seam. 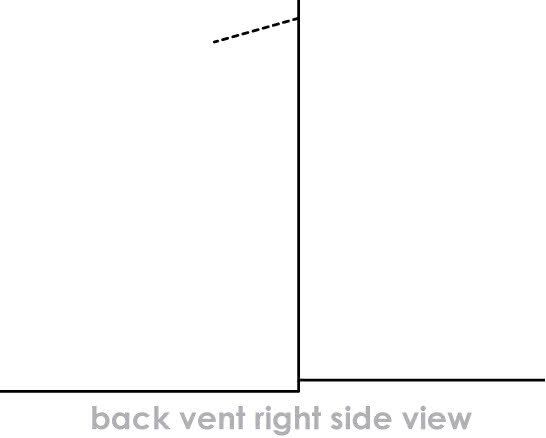 Then sew centre back seam, pivot at corner & sew the top edge of vent. 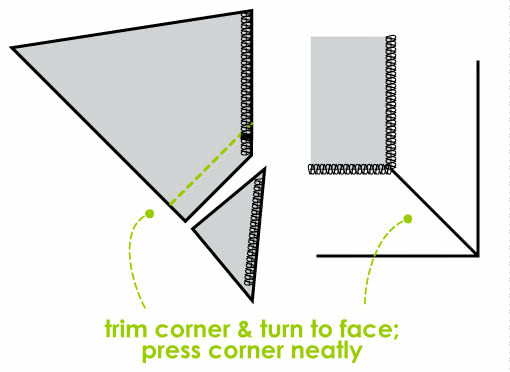 Turn to face & press neatly.